Bob wins for scariest costume...it's the mustache. Bob Montgomery was a very fortunate man. 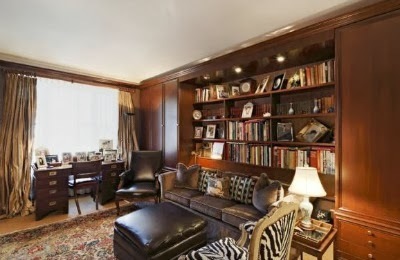 His choice of residences reflect who he was: a man of class, elegance and wealth. 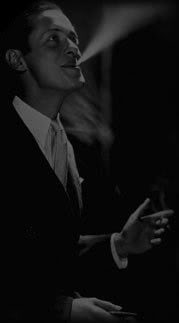 From mansions in Los Angeles to a luxury townhouse in Manhattan to a summer home in the Hamptons, the man simply lived well. 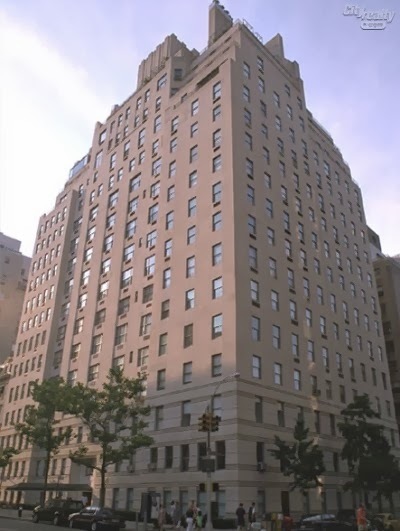 After Bob married Buffy in 1950, they chose a townhouse in a 17-story limestone-clad apartment building located at 19 E. 72nd St in the Upper East Side of Manhattan, in an area where the likes of the Vanderbilts and Whitneys built mansions and enjoyed nearby amenities such as several reknown museums (the Museum of Modern Art, the Whitney), elite shops, the best restaurants and the adjacent Central Park. Completed in 1937, the building replaced the 9-story mansion of Comfort Louis Tiffany, just across the street from The Rhinelander, home to Alva Vanderbilt. 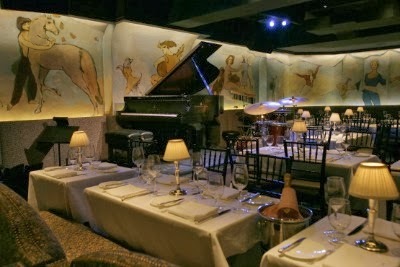 It is one block from Central Park with Broadway across the way. Today, a 3 bedroom, 5 bath apartment can go for $14,000,000. 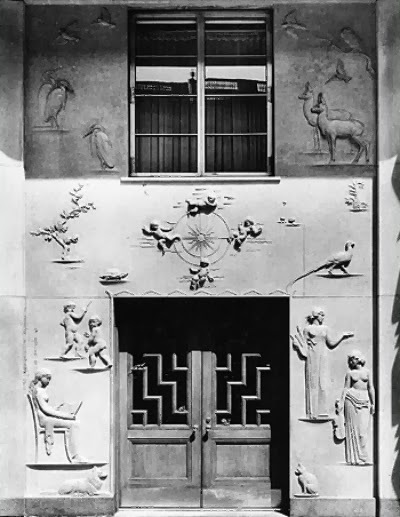 The main entrance has a green canopy sheltering an entrance covered with panels of animals and plants etched in relief. 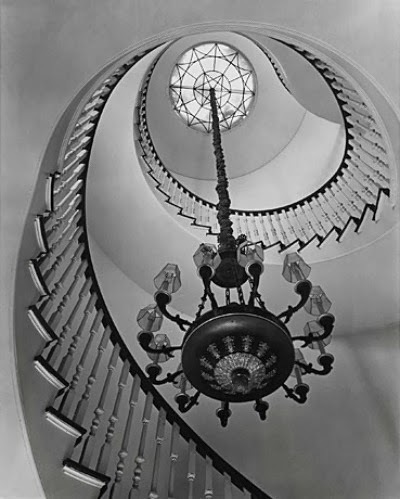 The building features circular staircases, this one featured in a penthouse apartment. I am not aware of the unit number of Bob's townhouse, but I would guess it has been remodeled a few times since. Following are photos of current apartments to give an idea of what his would have been like. So, when Bob and Buffy returned to their home, they were first greeted by a doorman at the relief covered entrance. 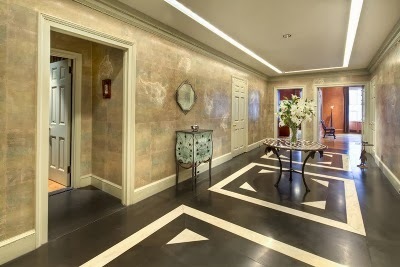 Taking an elevator, they would exit into a public lobby for the apartment. 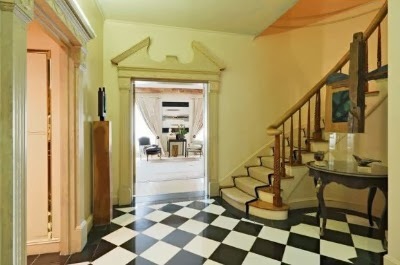 From there they entered the private foyer, which featured a circular stair case to the 2nd floor. Then Bob may have gone to his office/library while Buffy changed before going out for the evening. Thanks again to Liz for responding to my entreaty for Bob's NY address. May I See Your I.D., Sir? 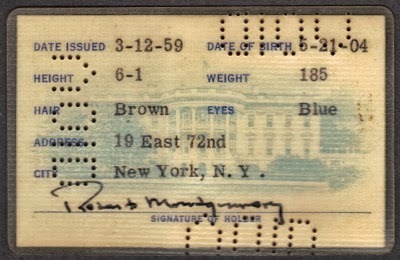 Most people would not keep their expired licenses, but a card showing you were a member of the White House staff in 1959, that's a keeper. Just like our driver's license, the card shows the pertinent facts of the individual for identification purposes. I was so looking forward to having verification of Bob's exact height, but ... At the beginning of his career he was most often listed as being 6-0 and weighing 140 lbs. Later in his career he is listed as 6-1 or, sometimes, 6-1/2. Bob is turning 55 at this time, so well into the stage of life wherein our height decreases and our waistline increases. 6-1... hmm. 185 lbs ... hmm. Well, it is close enough for government work! Check out the nifty wallet for the I.D. card. Wonder if it came with the card, or if Bob was just adding his touch to his accessories. Personal items of your favorite star are so great to have. 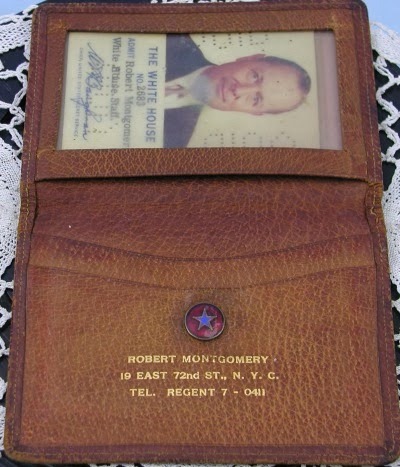 In this case, Bob's wallet is being treasured by fan Liz. Thanks for sharing it with us. Wish I had some information on the print that I could share with you. However, I have nada. Cannot find anything about the artist. He may have been English since the vendor from whom I purchased it is located there. 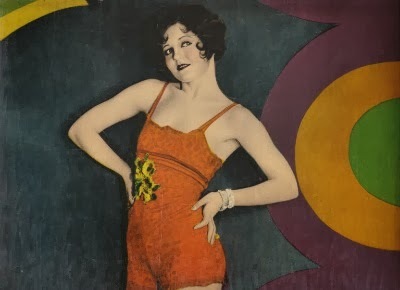 It is an early 1930s Bob, but then it could have been painted later. My continued frustration: The more I know the more I realize how little I know. Can you find Wally ... errr, Bob? 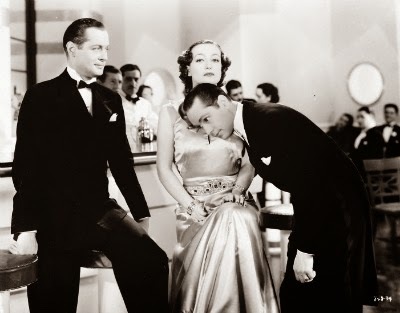 Close Harmony is a 1929 musical starring Buddy Rogers and Nancy Carroll, with Jack Oakie and 'Skeets' Gallager providing comic relief. Unfortunately the movie rights are owned by Universal and, therefore, the movie is not available for purchase. Darn it. The review on IMDB is quite positive, sounds like great fun. With Jack Oakie and Skeets portraying a singing duo, how could it not be. It's just downright immoral, denying the public the enjoyment of a movie --- especially Letty Lynton!! 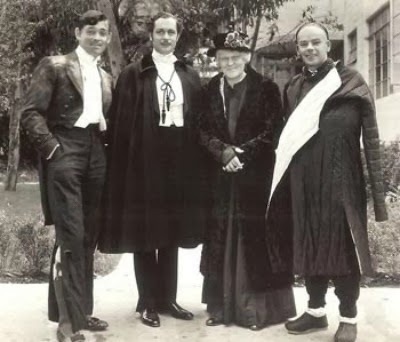 Trivia for the Day: On this day in 1928, "Possession" opened at the Booth Theatre in New York City. This was Bob's last appearance on Broadway. 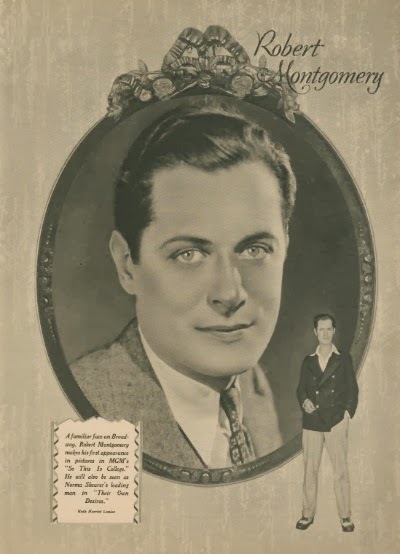 By January of 1929, Bob has signed his contract with MGM ... one smart move. 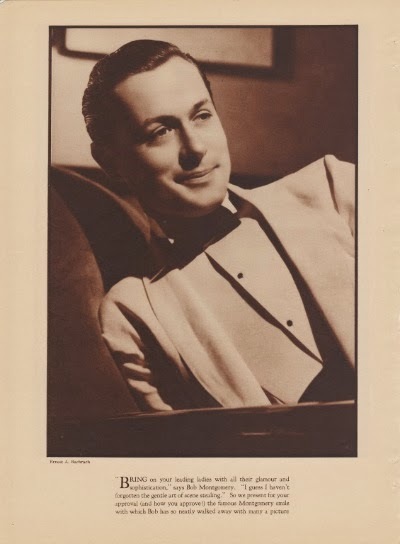 To me, the best part of collecting old fan magazines is the unexpected find, particularly when it is a photo of Bob. The photo below, taken in 1929 by Ruth Harriet Louise ... just precious. 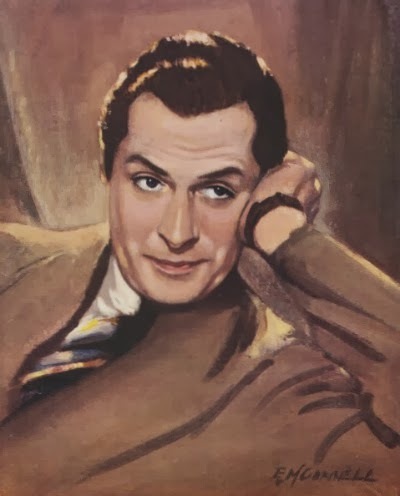 A familiar face on Broadway, Robert Montgomery makes his first appearance in MGM's "So This Is College." 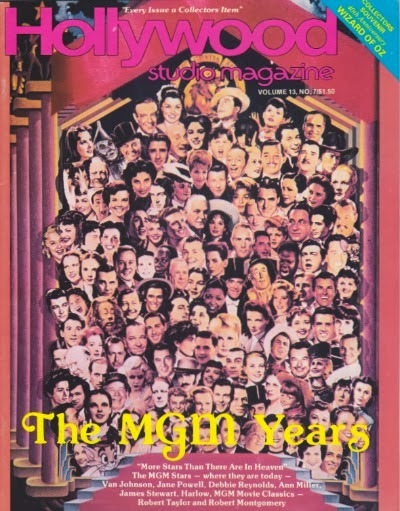 Month of gayety and laughter. 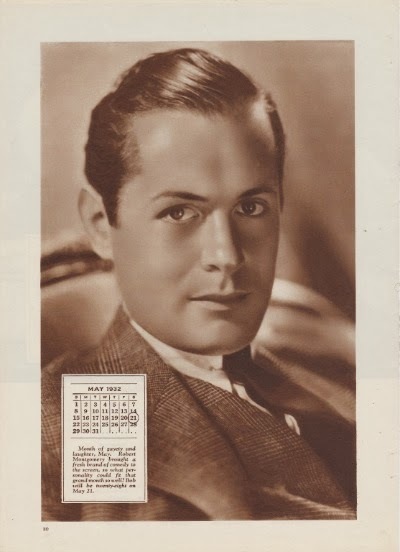 Robert Montgomery brought a fresh breath of comedy to the screen, so what personality could fit that month so well!